Many people have adblockers installed in their browsers. Chances are you do to. 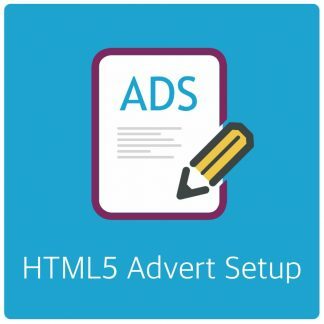 To successfully publish adverts with AdRotate, AdRotate Pro or any advertising manager you should turn adblockers off for your own website. 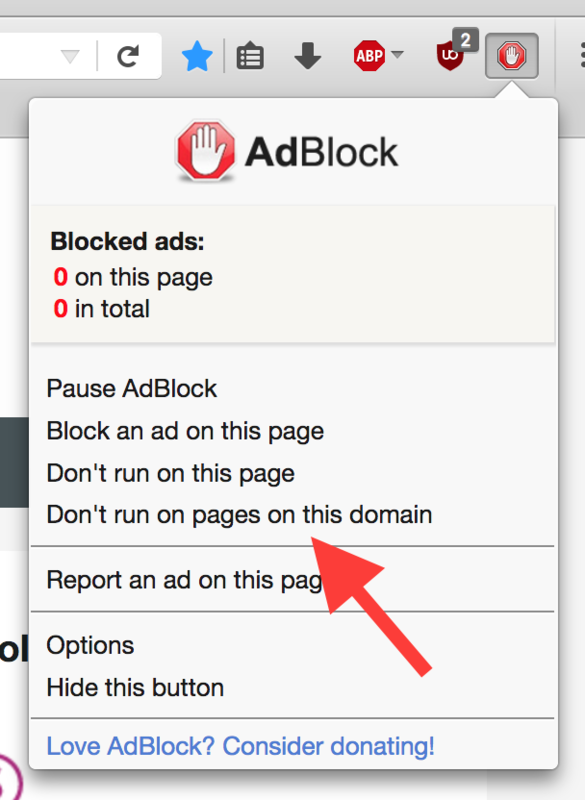 Most such browser extensions allow you to create a whitelist of domains where the adblocker will not be active. For example, every website I ever visit from a AdRotate user who contacts me for support I put in my whitelist to ensure I can help that person with his or her question properly. The same applies to your own website, for yourself. If you want to make sure your adverts are visible, or show up correctly. 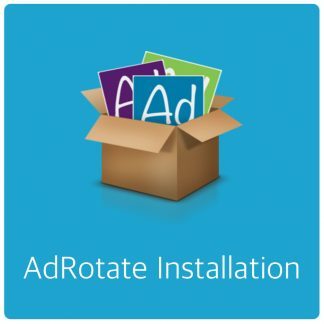 If you want to make sure the dashboard and all features of AdRotate and AdRotate Pro work correctly you have to disable your adblocker for your own website. 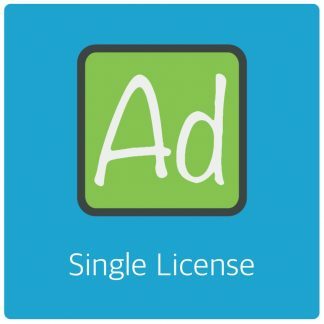 I’ve picked a few popular adblock plugins. Surely many more exist. These 3 are highlighted add-ons or have been around for years in Firefox, Chrome and Safari. Probably Internet Explorer/Edge too. When you install this plugin to your browser it shows a little icon next to the address bar or near there. Click it and select the little ‘copy’ icon, which they use to disable the plugin for specific domains. 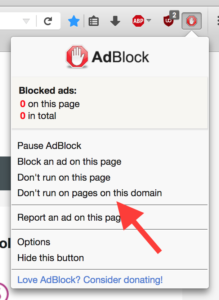 In Adblock the whitelist function works pretty much the same, click the little adblock icon next to or near your address bar and click the option to “Don’t run on pages on this domain”. For Adblock plus, it again, works the same. Click the little icon next to or near your address bar and select “Disable on DOMAINNAME” to whitelist your site. 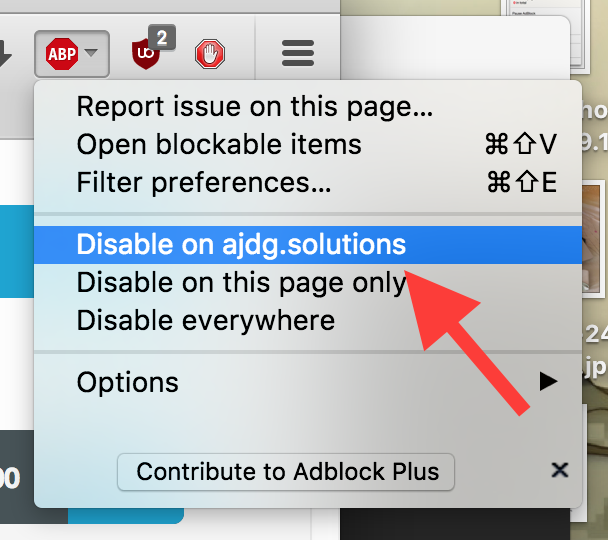 If your adblocker is not listed here, just click it’s icon or settings screen to see what’s possible. If your plugin does not support a white list you may want to switch to one that does.